TiMax2 Soundhub is a multichannel audio processor and playback system for theatrical productions, events and AV installations. 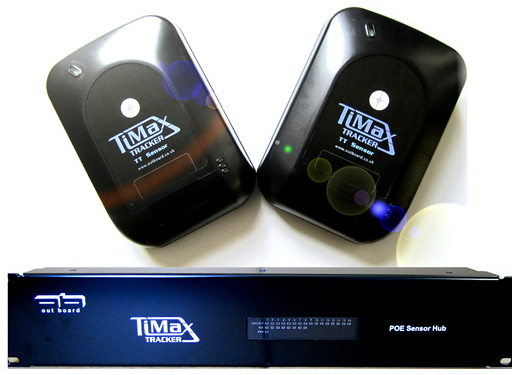 There are two formats, the Soundhub-S and the Soundhub-R, which both are controllable by TiMax Tracker. 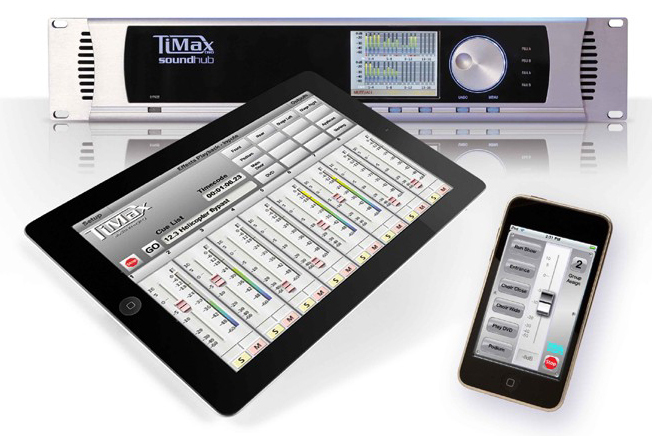 In its Soundhub-S format the TiMax2 control software provides sound designers with an advanced real-time audio showcontrol machine for running live shows, events and attractions. The Soundhub-R version gives systems integrators and contractors a comprehensive set of audio routing, mixing, processing and playback resources with versatile remote control options. Each SoundHub system incorporates a scalable multi-channel audio matrix and mix engine to handle multiple sources and multiple zones in a variety of performance and presentation AV installations ranging from museum, themed attraction, boardroom, hotels, bars and clubs through to theatre, opera, cruise ships and house of worship. The compact 2U TiMax SoundHub chassis provides 16 inputs and 16 outputs in analogue or AES3 format which is expandable up to 64x64. Optional industry-standard audio networking interfaces include Cobranet, Ethersound, Dante and MADI. The system also provides input and output parametric EQ for source sweetening and room tuning, and built-in random access audio playback up to 64-tracks. Every matrix cross point provides level adjustment for source mixing and zone distribution plus the TiMax speciality of individual cross point delay adjustment for creating multiple static or dynamically variable Haas-effect audio localisations. Accurate audio localisation is vital for directing a group of listeners to a specific performer on stage, a museum exhibit, or a presentation speaker. This helps a system provide intelligibility and message impact on top of uniform sound distribution. When combined with the revolutionary TiMax Tracker system, the TiMax2 Soundhub makes performer’s audio smoothly follow them round the stage with unparalleled accuracy and clarity. TiMax Tracker (TT) uses ultra-wideband (UWB) radar technology to track the actors, performers or presenters around a stage or event arena in three dimensions. TT controls a TiMax2 SoundHub delay matrix to achieve continuous audio localisation of the actors’ radio mics as they move around stage, maintaining realism and enhancing intelligibility. The TT system can also be used to make sound effects follow the movement of actors, animatronics or stage scenery, within immersive 3D audio panoramas created by the TiMax2 SoundHub delay-matrix. TiMax Tracker’s real-time show control outputs can also control other media such as lighting or video servers.